In our previous post, we reported that the Patgear and Egret are one and the same product. This has also been reported by a German e-scooter interest blog www.edrift.eu. The design, quality and finish of the frames look as good as the original Patgear. It looks identical right down to the blue shock absorbers. 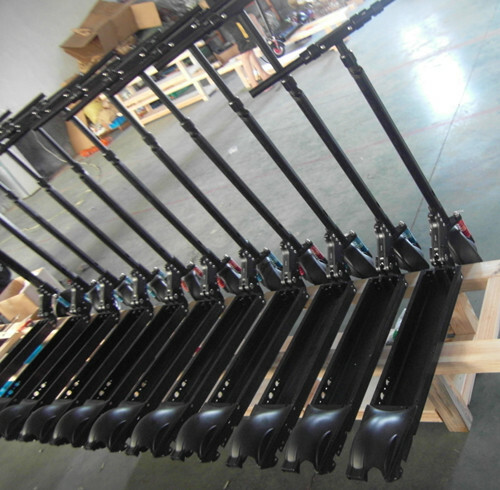 Nonetheless, we at sgscooters are eager to try out this version of the “Patgear” to see if the Wuyi model is indeed an improvement to the original product (which in our opinion has a lot of room for improvement). Original does not mean it sets the bar for excellence. I am sure this Wuyi version will take off if it can solve the multitude of problems on the original Patgear.